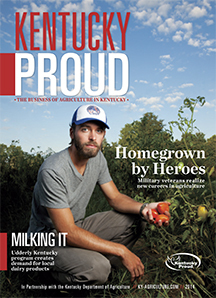 A guide to Kentucky's farms, forests, food and exports, Kentucky Proud is published in partnership with the Kentucky Department of Agriculture and features stories about the state's top crops, livestock, agribusiness, tourism, food safety and local products. Want to receive this magazine every year? Want to share the great news about agriculture in your state? 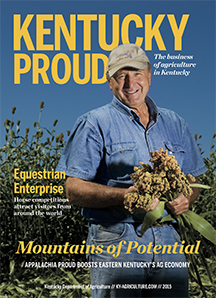 This digital magazine embed code make it easy to showcase this agricultural magazine on your website or blog. Simply select and copy the code below and paste it on your website or blog. Kentucky Pork Producers Association Inc.
Kentucky Women in Agriculture Inc.